Our hearts go out to all those impacted by Super Typhoon Haiyan (a.k.a. Yolanda to Filipinos). Last week the storm slammed across central Philippines causing incredible devastation to the island nation of 96 million people. 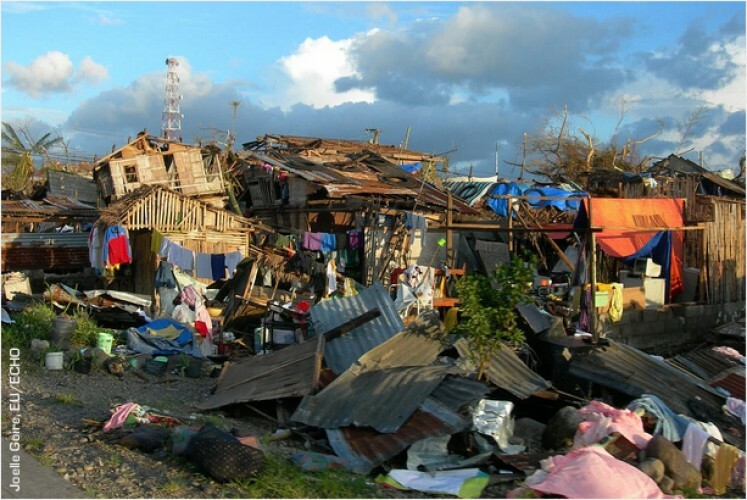 Officials estimate over 9.5 million Filipinos have been impacted by the storm and about 2 million are homeless. Relief efforts are underway, however the distribution of supplies has been hindered due to the massive scale of destruction. The Philippines is an archipelago of 7,107 islands located on the Pacific Ring of Fire near the equator making the island nation prone to earthquakes, volcanic eruptions and typhoons. The country averages about 20 typhoons a year, however Super Typhoon Haiyan [Yolanda] was one of the strongest storms on record with sustained winds of 315 km/h (195 mph) and gusts up to 378 km/h (235 mph) at landfall. The official death toll as of Friday [15-Nov] is more than 3,600 -- while the United Nations says the toll is higher with nearly 4,500 confirmed dead -- but about 1,100+ people are missing so numbers will continue to rise. Officials feel the initial estimates of 10,000 dead may be overstated now, but there are still villages that haven't been reached and many areas with vast amounts of debris to clear that contain rotting, smelly corpses. In Cebu, the Philippine air force has been sending three C-130s back and forth to Tacloban, and had delivered hundreds of thousands of pounds of relief supplies as of Thursday [14-Nov]. Medical supplies are scarce and the few hospitals left standing in hardest hit areas have had to turn people away because they are overwhelmed with the injured. Many people desperate for medical attention have made their way to the airport, where the military is trying to administer medical care. The aircraft carrier USS George Washington and almost a dozen U.S. Navy ships have arrived with massive amounts of water and food, aircraft and heavy machinery. They estimate about 600,000+ pounds of And USNS Mercy has been activated in case it needs to deploy in the coming days. Read more about our Military’s disaster response and humanitarian efforts overseas (called “Operation Damayan”) in our USFRA forum. A U.S. Navy MH-60S Seahawk helicopter, center, assigned to Helicopter Sea Combat Squadron 25 prepares to drop supplies over Tacloban Airfield in Tacloban, Leyte province, Philippines, Nov. 14, 2013, in support of Operation Damayan. As mentioned above, updates on Operation Damayan (the U.S. military’s disaster response and humanitarian efforts) are posted in our USFRA military forum.